New Delhi: Online travel company MakeMyTrip Ltd is considering offering its users non-hotel alternatives such as dharamshalas, homestays, bed-and-breakfast establishments and tents as it steps up the competition with SoftBank-backed OYO Rooms. The company, which delisted budget hotel aggregators OYO and Zo Rooms from its platform in November, is counting on budget accommodation to power its growth. Last year, it launched Value+, a separate category for budget hotels. Hotels and packages now contribute 45% of revenue for MakeMyTrip, which wants to expand their share to 75% in the next two years. It currently offers standard, luxury and budget hotel accommodations besides holiday packages, flights, railway tickets and cab services. “There are other areas in terms of accommodation which are not yet penetrated, such as dharamshalas, paying guest accommodation, bed-and-breakfast, short-stay accommodation etc.,” said Yuvaraj Srivastava, chief human resource officer at MakeMyTrip. “We are working on certain plans so that we have our presence across the length and breadth of the options available within the country,” he said, without specifying a timeline. He added that non-hotel accommodation will be offered under a separate vertical and will not be included in the Value+ category. A handful of start-ups such as Wudstay and The Hosteller offer travellers experiential homestays and short-stay packages, but the market is still under-penetrated. MakeMyTrip’s rival Yatra also entered the homestays category in September to tap a younger, backpacker category of travellers and families. Hotel bookings offer a margin of 12-16% against around 5% offered by air ticketing. Granted, it’s uncertain whether MakeMyTrip will be able to sustain this margin in the Value+ category when its biggest competitor OYO Rooms is spending money raised from investors to gain higher market share. “The volumes will take care of the margins. That’s the economy of scale,” said Srivastava, adding that the margins would vary from one property to another depending on the competition. OYO Rooms (Oravel Stays Pvt. Ltd) has expressed interest in buying smaller rival Zo Rooms, which is scrambling to raise a fresh round of funds to avoid being sold, Mintreported on 3 December, citing three people familiar with the matter. MakeMyTrip currently has around 25,000 hotels on its platform and is seeking to expand this number fourfold in the next two years. “It will not work only by creating inventory. India is a holiday-starved nation. People only think and aspire of going on vacation but most of the time they are not in a position to plan it,” Srivastava said. “So the need to ensure that somebody really helps people plan and also shows them options which are across different budget categories, I think, you have to a develop a market for vacations. It is not just about creating packages but creating awareness,” he added. The company is on a hiring spree and plans to double the strength of the on-ground hotel contracting workforce working with Value+ hotels to over 200 in the next couple of months. Their task will be to build relationships with hotels and improve their standards. It also plans to add 40 more people to its technology team to increase its focus on app-based offerings. 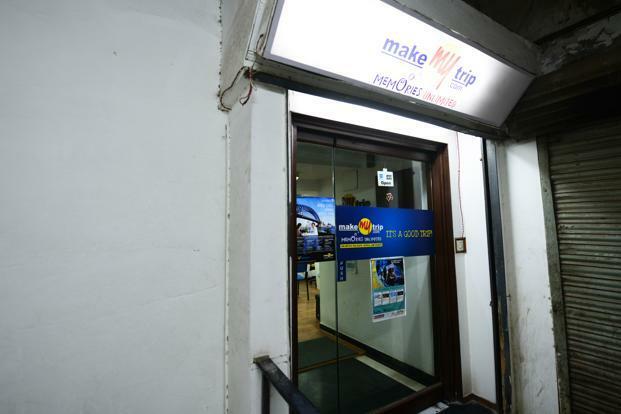 Last month, MakeMyTrip announced a $180 million fund-raising from China’s Ctrip.com International Ltd.
MakeMyTrip’s revenue rose to $299.6 million in the year ended 31 March from $255.3 million in the previous year, while its loss narrowed to $18.35 million from $20.9 million in the previous year. “Experiential stay concepts such as homestay is catching up pretty fast in India and is expected to grow significantly soon. Budget hotel space is largely taken up by younger firms such as OYO. This is one segment where a potential growth is identified now. Thus most of these larger guys do not want to miss out on this opportunity by not being present in the segment at all,” said Rohit Bhatiani, director at consulting firm Deloitte in India. He, however, added that the flip side is that it will be very difficult for the larger online travel agencies (OTAs) to get on-ground due diligence done as they have largely worked with branded partners, whether it is hotels or flights, in the past. “The need is to have a very, very strong diligence. The question will be what mechanism are they using to get partners on board,” he said.